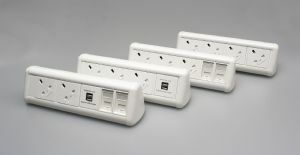 The Mini and Maxi desktop power units are compact white RAL 9003 in colour with optional interchangeable coloured end caps and lids to suit the office colour scheme of mood of the user. 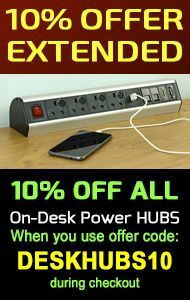 Each unit comes with desk clamps and an adhesive pad. A 500mm lead to male GST type connector gets under the desk before connecting to a START lead. 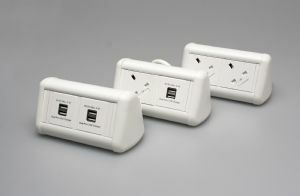 Available in various conbinations including power, dual usb and data options.